At Hackference we are bringing people from a multitude of organisations, educational backgrounds, belonging to different strata of society to constitute the Biggest Ever Open Source Hackathon the country has ever seen. An exquisite event aimed at bringing elite Developers for a networking and brainstorming session. Entry only by invitation. 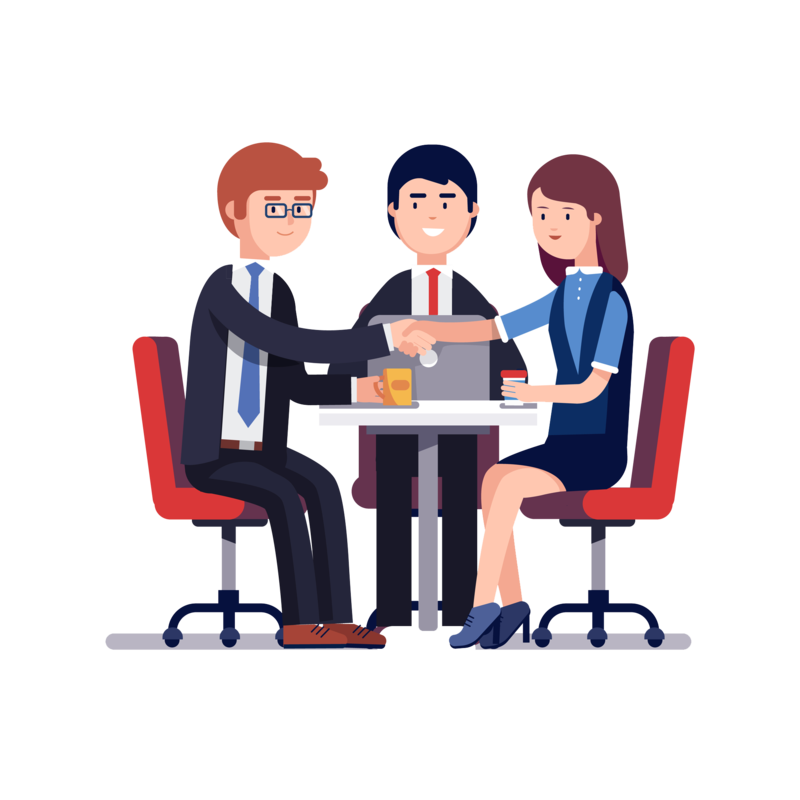 The collaboration between the companies and the employees generates a great organization, A employer will be able to witness the work of the foreseeable employees, and the attendees will be able to choose the track and companies they see fit. A win-win situation for both benefactors. Asking questions is your right, and answering them our duty! Who should attend Hackference India 2018? Whether you are new to the open source world or an experienced contributor, you will learn something new at Hackference. The DevRel Conference is designed in the form to help developers build communities and build strategies to strengthen their whole ecosystem. Being a DevRel Conference, top developer advocates from prominent organisations will be present bringing to you a great chance to interact and build connections alongside. This whole event is designed to educate new developers about the Open Source world and help existing contributors strengthen their outreach and explore more deeply into open source development. What is there in the DevRel Conf? The DevRel Conf features a keynote address projecting the power of a developer community. You will learn the need of Developer Advocate, the strategies around building a developer community, the state of the developer ecosystem, blockchain ecosystems, and more. You will also have opportunities to interact with the top developer advocates of prominent organisations from all over the world. What is included in DevRel Conf registration? DelRel Conf registration gives you a chance to get selected to attend the developer relations conference of Hackference India 2018. After the registrations close, the selected participants will be informed through email, and would be given access to the Keynote, DevRel Conf Talks, as well as the Breakout Sessions. There will be lunch and refreshments provided. What is included in the Hackathon registration? Hackathon registration gives you a chance to get selected to attend the Hackathon and Hiring Fair held within Hackference India 2018. After the registrations close, the selected participants will be informed through email highlighting the further steps. There will be lunch and refreshments provided. Can I get a confirmation of my Hackference registration? Upon completing the online registration process, if you're selected, you will be emailed a confirmation email with details from Hackference. If you have already selected (as on the portal) and can’t see this email, please check your junk mail folder. You are not locked into the session and free to change and attend on the day depending on room capacity. Please note, registration does not guarantee a seat; we will be selecting the best participants to attend different events within Hackference. Breakout sessions will be filled on a first come first seated basis. There is no need to pre-register. Yes they will be made available on https://hackference.in and communicated to you in the ‘Thank You’ email after the event. Please note that the slides will only be provided with the discretion of the presenting organisations. How should I behave at Hackference? Be respectful and considerate of your fellow hackers. We're all here to learn and have a good time. Everyone deserves the chance to hack free of the fear of being harrased. See the Hackference Guidelines for more details. Of course there will be prizes although it isn’t all about winning but what you learn and build during those 24 hours. But don’t worry there will be a panel of judges that will select the three best hacks based on creativity, technical difficulty, design, and usefulness. Prizes for first, second and third place TBA. Sponsors also offer prizes for specific criteria, which they judge themselves. Also we are not giving any prize in the form of money. The best of the best will get hired and the projects will be given incubation support! You can go to our skillenza portal where all the information is available about the application procedure. What should I bring to Hackference? Please bring a valid ID (any Photo ID), your hackathon ticket, a computer (preferably a laptop), chargers, and any hardware you will use for your hack. You can also bring a sleeping bag, pillow, toiletries, and a couple changes of clothes. Food will be provided at the event. No firearms, weapons, alcohol, or illegal drugs are allowed on event. What size are the teams? What happens if I don’t have a team? The teams are a maximum of 3 people. You can start off the event already with a team or you can meet with people at the event who also don’t have a team, don’t worry. There will be some travel reimbursements for sure, we will communicate the details with the selected attendees. It's absolutely free! There is no entry fee, Hackference will provide you with plenty of food, snacks, swag, and prizes throughout the 24 hours. If there is something that is still not clear or we didn’t cover please contact us at hello@hackference.in or at twitter or facebook.